Not all negligence is created equal. Under Delaware's personal injury law, there are different types of negligence. If you were a victim of the more severe form of negligence—known as gross negligence—you may be entitled to additional damages. Gross negligence differs from traditional negligence in that the alleged party is thought to have acted recklessly, despite knowing that their actions were likely to cause harm or injury. As a result, accidents that involve gross negligence often have serious and devastating consequences for victims. These consequences can vary by situation, but often include the issues below. Fortunately, Delaware law gives accident victims legal recourse to pursue compensation for these and other damages. Were You a Victim of Gross Negligence? If you—or someone you love—were injured in an accident that you believe was caused by another person's grossly negligent actions, filing a personal injury lawsuit may make it possible for you to seek compensation for damages sustained in the accident. However, in order for your lawsuit to be successful, you and your legal counsel will have to prove that there was gross negligence by showing that the alleged negligent party owed you a duty of care, failed to exercise that care, and did so knowing that their actions could cause harm. When there's so much at stake, you can't afford to go it alone. Working with a reputable and experienced Wilmington, DE personal injury attorneys give you and your case the best chance of receiving a positive resolution. Contact the skilled legal team with the Morris James Personal Injury Group today to schedule a free, no-obligation consultation to discuss your case. In the meantime, if you have questions about a potential personal injury lawsuit, request a free copy of our eBook, Anatomy of a Personal Injury Claim. Being involved in a serious accident can throw your entire world into chaos and leave you with a lot to consider, including whether taking legal action is appropriate. If you do decide to exercise your legal rights and pursue compensation for injuries sustained in an accident that was caused by another person's negligence, you may find yourself wondering if it's really necessary to hire an attorney to represent you. While the short and technical answer to that question is “no,” there are many instances where hiring an experienced personal injury attorney is not only wise, but offers you the best possible chance of achieving a successful outcome in your case. Disputed fault or refusal to pay. An insurance company may try to reduce its liability by disputing fault, claiming that the policyholder wasn't at fault for the accident, or that there is a lack of evidence necessary to prove fault. The insurance company may also refuse to offer you a settlement or a fair settlement amount. Serious, long-term, or permanently disabling injuries. If the injuries you sustained in the accident were serious or resulted in a long-term or permanent disability, you may be facing a mountain of unexpected medical debt and a long, grueling road to recovery. Lost wages or loss of earning potential. If your injuries were serious enough that they caused you to miss work, you may desperately need compensation for the wages you lost during your recovery. Likewise, if your injuries forced you into a lower-paying position, you may need the difference in those wages to maintain your standard of living. There are a number of clear benefits that come with hiring an attorney to represent you in your personal injury case. First and foremost, being represented by a knowledgeable and experienced personal injury attorney who routinely handles accident and injury cases may be the best possible way to level the playing field when going head-to-head with an insurance company's corporate counsel. When you hire a reputable personal injury attorney, you're dealing with a professional who is well-versed in the laws and procedural rules that are relevant to your case, and has a commitment to seeing that justice is done. Hiring a personal injury attorney can also save you a lot of time and effort. There's a lot of work that goes into seeing a personal injury claim from filing to completion. Unless you can set aside the necessary time to juggle things such as witness statements, police reports, medical documentation and the like, you might be better off having an attorney investigate, organize, and present the case on your behalf. Finally—and perhaps most importantly—an attorney can advocate for you, helping you to navigate the complex and often frustrating world of insurance claims and settlements. There's a lot at stake when you file a personal injury lawsuit to seek compensation for things such as medical bills, damaged property, lost wages, or pain and suffering. It would be unfortunate and all too easy for an accident victim's lack of familiarity with personal injury law to result in them receiving a settlement that's less than what they deserve if they choose to serve as their own representation. Don't let yourself be short-changed—Morris James Personal Injury Lawyers can help you fight for the compensation you need and deserve. Contact our legal team today to schedule a free, no-obligation initial consultation. You can also request a copy of our free informative eBook, Anatomy of a Personal Injury Claim. Do I Need an Attorney for No-Doubt Liability Claims? What are the car insurance requirements in Delaware? While every state requires drivers to carry auto insurance, each state is free to set its own mandates for type of coverage, monetary limits, penalties for lack of coverage, and other issues related to auto insurance. 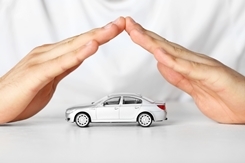 Auto insurance policies are intended to protect all drivers in case of an accident. Accident victims can obtain compensation to heal physically and financially after an injury, and those responsible can protect their own financial interests. When you pay the premium on an auto insurance policy, the insurance company will cover any damages after an accident, shielding a driver from possible financial ruin. Typically, your auto insurance policy will have a deductible—a specific amount you pay out-of-pocket when your insurer has to pay for an accident. Your deductible can be as little or as much as you specify when you begin your relationship with your insurance company. Typically, a policy with a higher deductible will have a lower premium, or monthly payment. These amounts are the minimum coverage required, and drivers can, and should, elect to pay for more coverage if they wish. State law does mandate auto insurance coverage, though, and the penalties for driving without insurance can be severe, including steep fines and loss of driving privileges. Collision – Collision coverage would pay for the damage done to your car in a crash with another object. Comprehensive – Comprehensive coverage would pay for damage from almost any other reason outside a crash, including fire, severe weather, theft, and more. Uninsured/underinsured motorist – Uninsured/underinsured motorist coverage would protect you if you are involved in a hit and run accident or an accident with a driver who does not carry adequate insurance. Other optional coverage can include rental car reimbursement, vehicle towing and repair coverage, and underinsured bodily injury coverage. With respect to auto insurance, Delaware is an at-fault state. This means that when an accident occurs, the at-fault driver is responsible for paying for the accident-related expenses of anyone else involved. In many cases the at-fault driver and/or his insurance company will dispute the claim of responsibility in an attempt to minimize the financial consequences. The insurance company will look for any way to keep from paying accident victims the full amount they are due, so it is important for victims to act quickly to protect their rights. If you or someone you love has suffered injuries in a Delaware car accident, the experienced lawyers at the Morris James Personal Injury Group can help you work with your insurance company or negotiate with the responsible driver’s to achieve the best outcome possible. Take a moment to fill out our online contact form, and you’ll receive a prompt response from a member of our team who can answer your questions and schedule a free, no-obligation consultation. What compensation can I seek after an accident in Delaware? After an accident or injury, victims often have many worries. Usually, their main concern is their health. Receiving proper medical care and therapies to support recovery should be the most important focus. However, the injuries and that treatment can leave an accident victim unable to work. Faced with a loss of income and mounting medical bills, victims are often worried about how they will meet their financial obligations. During what is already a difficult time, victims should not have to worry about whether they will be able to continue to receive medical care or wonder how they will support their families until they can return to work. To that end, the state of Delaware allows victims to file a personal injury claim against those responsible for their accident and resulting injuries. These claims seek compensation to help victims and their families to receive appropriate medical treatment and continue to live a stable, secure life. What Kind of Compensation Can Delaware Victims Obtain? Medical bills. 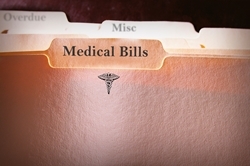 Any medical bills related to the accident can be covered, including hospital stays, medications, therapies, and even modifications necessary to a vehicle or home. Future medical bills. In some cases, the injury sustained in the accident leads to a long-term health problem or permanent disability. The courts can assess what the victim will likely have to pay over the course of the next many years and award corresponding compensation. Lost income. When the injury prevents a victim from working, the victim can lose valuable income. As with medical bills, a victim can receive compensation for future lost wages as well, should the injury diminish his ability to earn income in the future. Pain and suffering. Pain and suffering compensation falls under the non-economic damages. These damages are intended to offer the victim some coverage for the physical and emotional pain he suffered in the accident and during the course of recovery. Punitive damages. These damages are meant as punishment to the responsible party and to deter future bad behavior. For each area, the court will examine the facts of the case and the situation of the victim to determine if they are eligible for compensation. As an example, injured persons who are in a Delaware registered car will probably have access to personal injury protection coverage.People with this coverage will have access to wages and medical bills up to the two year period following the accident. Every case is different, and a skilled Wilmington, DE personal injury attorneys can work with a victim to prepare a comprehensive view of their needs and injuries to obtain the maximum amount of compensation. Additionally, if the victim dies as a result of his injuries, his surviving family members may be able to obtain compensation. To determine an award or a settlement offer, the courts and the insurance companies examine a number of factors. The economic damages can be fairly straightforward to calculate. How much are the medical bills? How much are they likely to cost in the future? How much income was the victim earning? Non-economic damages are not as clear-cut, and there is often the negotiation between the victim and the insurance company when discussing a settlement. Again, with the help of a skilled attorney, victims can negotiate with insurance companies to find a number they feel is appropriate for the severity of the injuries. If you or someone you love has suffered injuries in an accident, you are entitled to fair compensation under the law. Don’t let insurance companies undermine your medical care or your family’s future. Call the Morris James Personal Injury Group today to talk with a member of our team and learn more about your rights in Delaware.